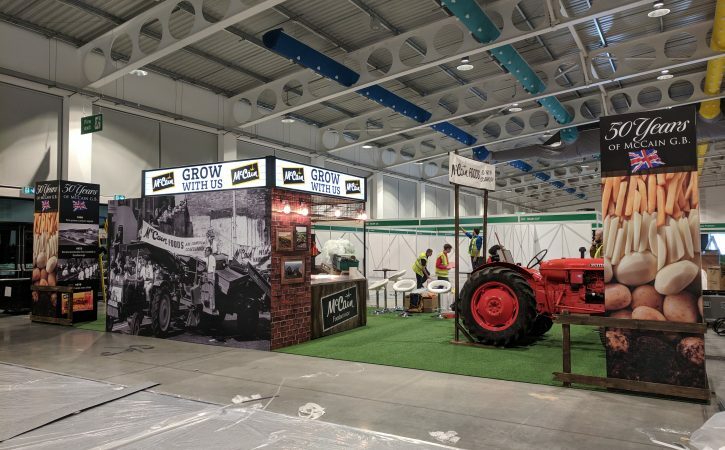 A bespoke exhibition stand, hand painted and crafted by the Harrisons team. 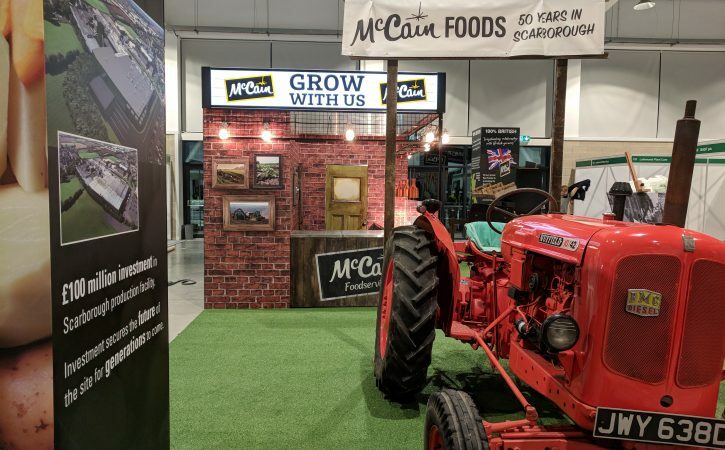 McCain Foods attended the Agriculture & Horticulture Development Board exhibition in Harrogate. 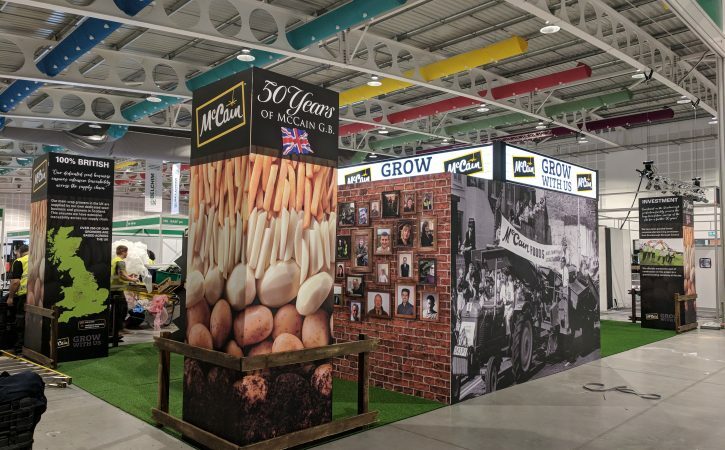 Celebrating 50 years in the business they wanted a stand that show cased their products (chips were cooked for real!) 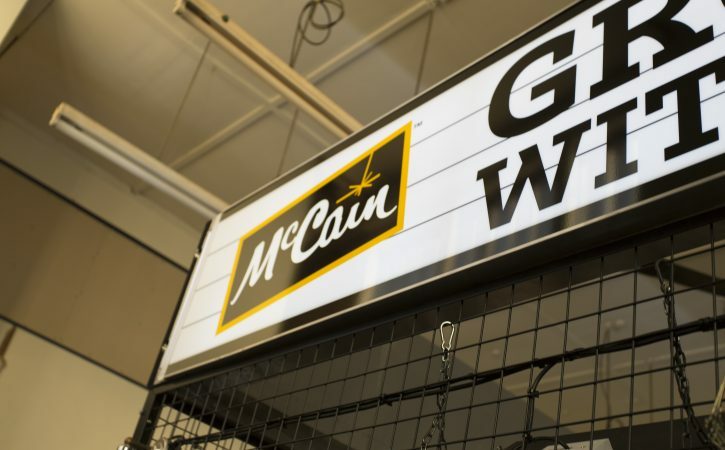 and gave an insight into the company’s history and future investment in producing fine foods from the good old potato. 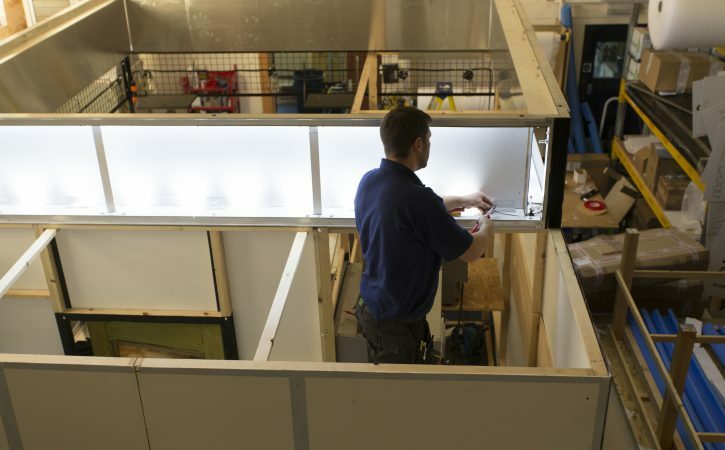 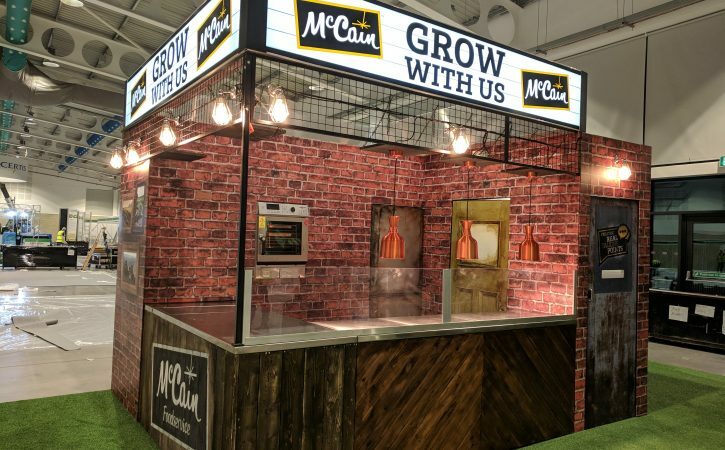 The stand was designed by H C Design in Scarborough, the home of McCain Foods, manufactured and built by Harrisons Signs. 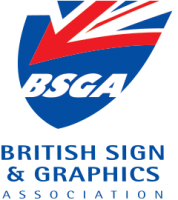 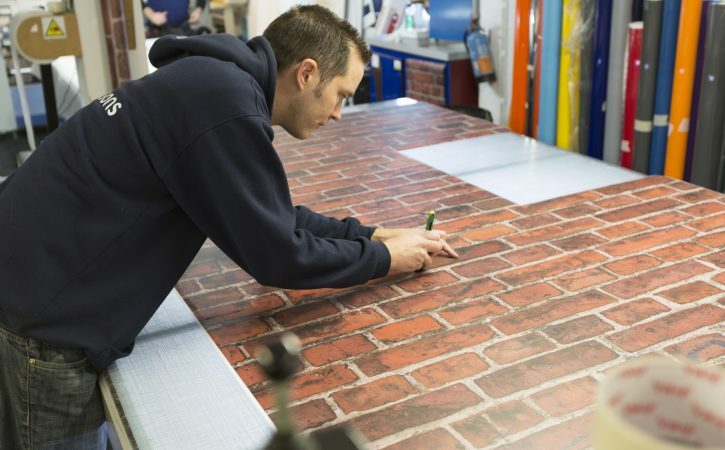 The wall visuals were created by printing vinyl graphics onto flat board together with towering, imposing graphics at each corner of the display. 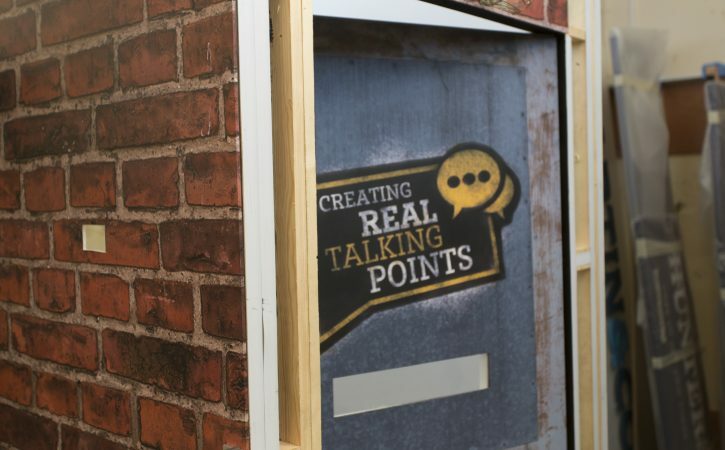 To get the distressed wood effect each panel of timber was hand painted to create the desired look and finish.